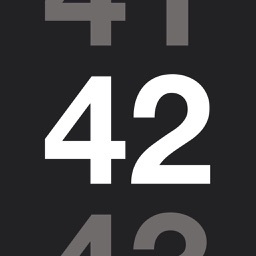 A beautifully simple tally counter. 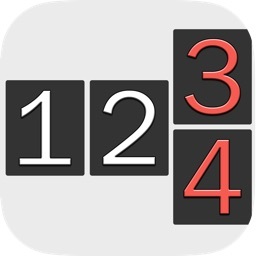 The most beautiful and polished tally counter app! Create multiple colourful counters and easily count up, down or reset with multi-finger gestures as you track habits and other important things in your daily life. • UNLIMITED COUNTERS. Create multiple tally counters; reorder and rename to your heart’s content! • UNDIVIDED ATTENTION. Individual counters can use the full screen for no look counting. • INCREMENT, DECREMENT & RESET VALUES. Set separate count up, count down and reset integer values for each individual counter. • COUNTER COLOURS. Easily tag individual counters with any of our 13 beautiful Pantone colours. • INTERNATIONALIZED. 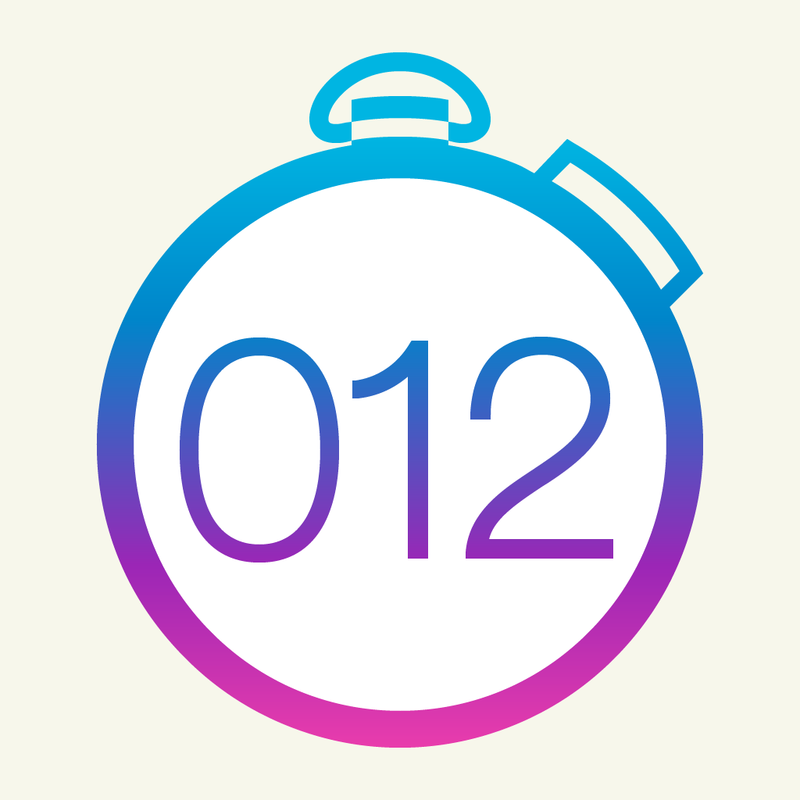 All dates, times, and numbers are localized for every region/language that iOS supports, even those that use Eastern Arabic or Nepali numerals. • QUICK ACCESS. Use search and colour filtering to quickly find counters, no matter how many you have. • SOUNDS. 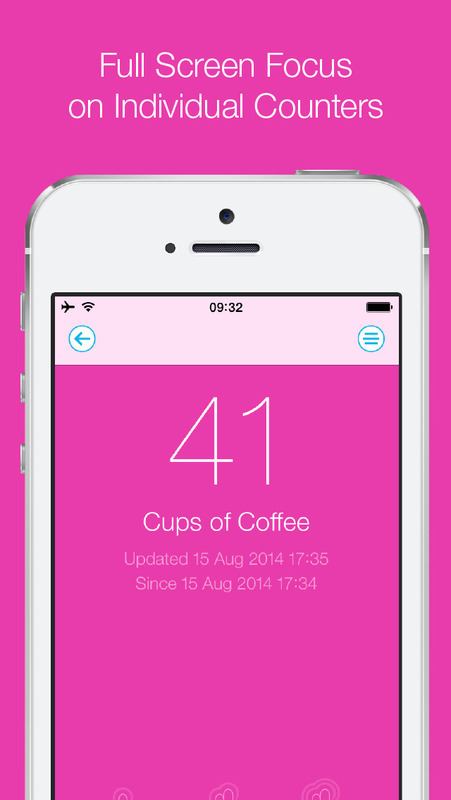 Switch between tally counter clicks, the app speaking each number to you, or no sounds at all. • REMINDERS. Schedule notifications by time of day and days of the week to remind yourself to count important things in your life. • APP BADGE. 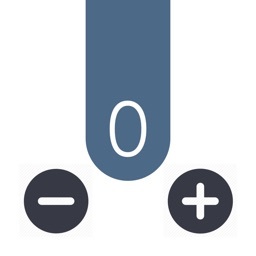 Display the count number of a any and all counters you specify on your iOS device's home screen using an app badge. • SHARING. 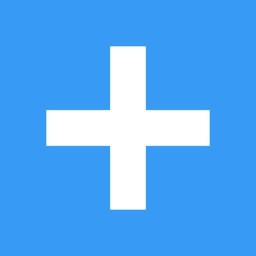 Share one or all of your counters with anyone using AirDrop, Messages, Mail (includes CSV file attachments when sharing all counters) or social media accounts you’ve set in iOS. 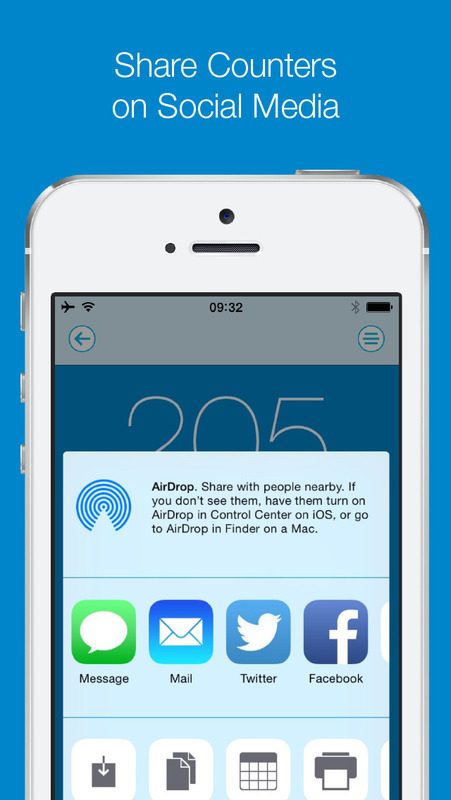 Also send screenshots to Camera Roll, clipboard or an AirPrint printer. • X-CALLBACK-URL. Using 'countersapp://' URL, quickly access our app from apps that support x-callback-url, like Launch Center Pro. • SETTINGS. 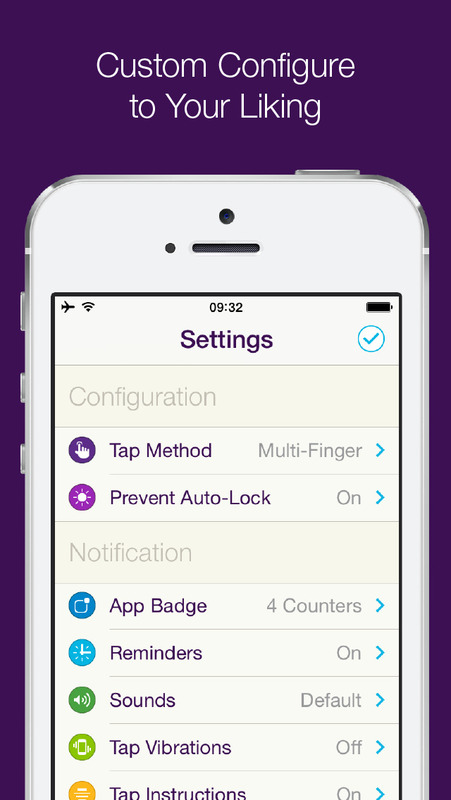 Custom configure the app to your liking with settings for changing the tap gesture method, preventing screen auto-lock, tap vibrations (on iPhone), displaying tap instructions, enabling reset confirmation alerts, one-tap actions to reset and delete all counters and more. • SUPPORT. Email us for help or feature requests, view a beautiful introduction on using our app and see version notes for the latest update all from the About section. • #1 in Paid Productivity for Slovenia, Belarus, Malta. • TOP 10 in Paid Productivity for United States, Germany, Netherlands, Portugal, United Arab Emirates, Austria, New Zealand, Lebanon, Greece, Vietnam, Cyprus, Romania, Egypt, Lithuania, Saudia Arabia, Malaysia, Latvia, Algeria, Indonesia. • TOP 25 in Paid Productivity for United Kingdom, Canada, Russia, India, Brazil, Sweden, Belgium, Finland, Hungary, Czech Republic, Norway, Thailand, Poland, South Korea, Ukraine, Singapore, Slovakia, Croatia, Philippines, Estonia, South Africa, Congo, Denmark, Bermuda. • APPLE. "Congratulations! Your app is being featured on the Productivity page." • JIM DALRYMPLE, THE LOOP. 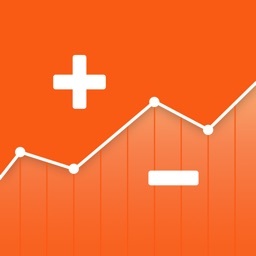 "I love apps that do one thing and do it really well. This looks great." • MACSTORIES. 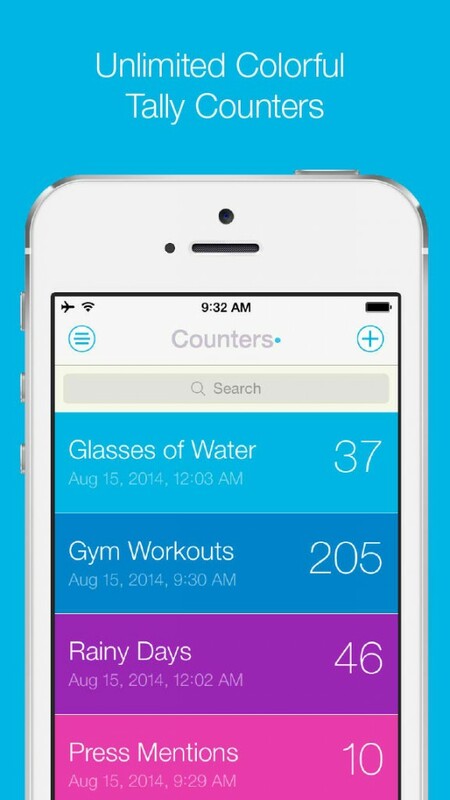 "A simple, focused app that keeps tabs on how many times you do… well, anything. It looks great." • APPADVICE. "If you’re looking for a quick-and-easy app for incremental counting (for multiple items at once) that is beautiful and well-designed, then look no further than Counters•." • APPGEFAHREN. "Das Design ist schlicht und einfach gehalten, wobei die Bedienung intuitiv und schnell von der Hand geht. Wenn jemand ein App sucht, um die einfach Dinge des Lebens zu zählen, ist mit Counters bestens bedient." • MACSPARKY. "This is a small niche, but one I'm glad to fill with my iPhone." 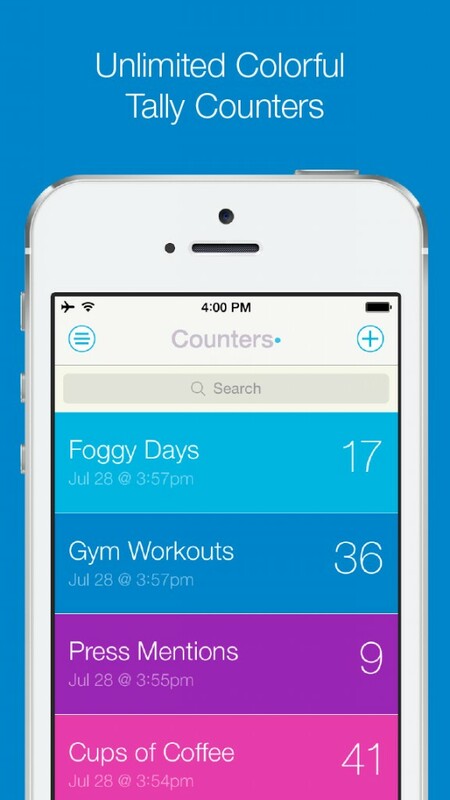 Counters• has counted its version number up one notch with the arrival of another major update. 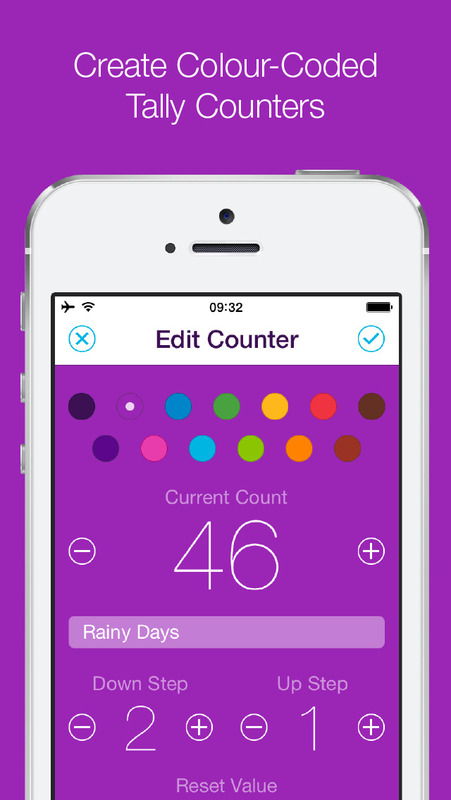 The colorful tally app Counters• has received another notable update.